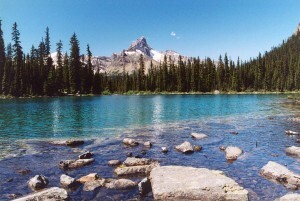 We got our first sight of Yoho National Park when we drove through it on our way to Glacier and Mt. Revelstoke. 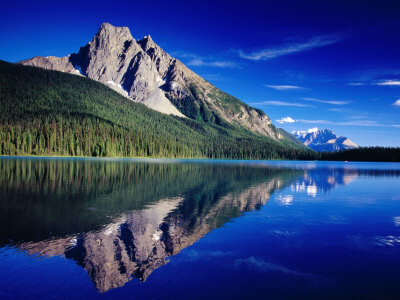 On that day, we had managed to squeeze in a visit to one of the popular sections of the park – the Emerald Lake. We were lucky enough to walk around the lake early in the morning and got to enjoy some pretty good reflections of the nearby peaks on the placid waters. Our first night in Yoho, which followed our stay at the foothills of Mt. 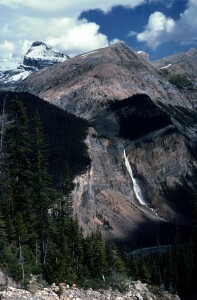 Edith Cavell (in Jasper), managed to match the latter in all counts. 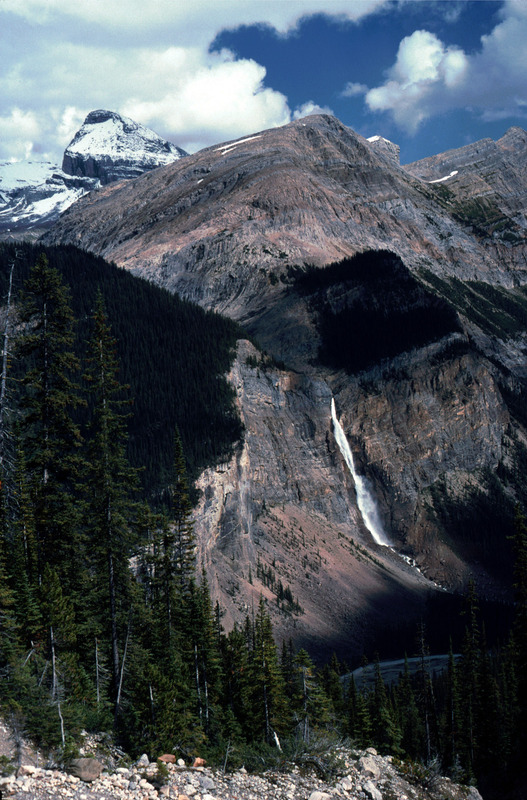 The hostel in Yoho had a splendid view of the 254m tall Takakkaw (Cree for magnificent) falls and was also a stone throws away from one of the most popular walks of the region – the Iceline trail. We completed the 20 km long trail in little over 8 hours, highlights of which included views of the Yoho valley, Daly glacier (which feeds the Takakkaw Falls) and the Emerald Glacier. We spent our final two days in the park at the Lake O’Hara region. This region is so sought after that the authorities are forced to take extreme measures to restrict the access to this region and prevent the region turning into a Disneyland. They have managed to achieve the impossible by closing the 11 km access road to the lake to all private vehicles. So the only way to visit the region to book a campsite three months in advance or book a stay in an extremely overpriced lodge or walk the 11 km up and down in a day – booking accommodation in the camp or the lodge giving you the additional advantage of being transported by a bus. We managed to do the first option and camped at Lake O’Hara for couple of nights. 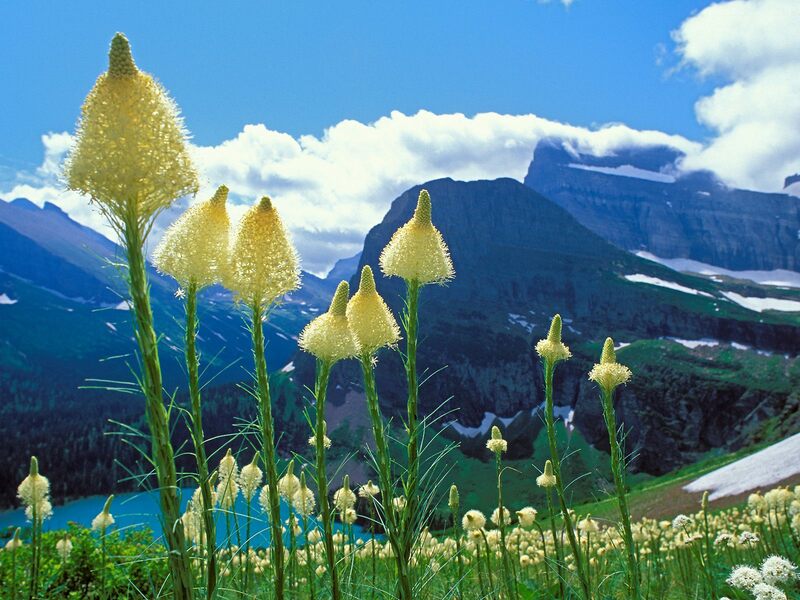 In the only available day in the region, we did the Alpine Circuit – a brute of a trail that combines the high point of several shorter day hikes. Although the loop was only 12 kms long, thanks to the steep elevation gain and boulder hopping, it took us nearly the whole day to complete it. Midway during every section we were convinced that no view point would be worth the effort we were putting in. 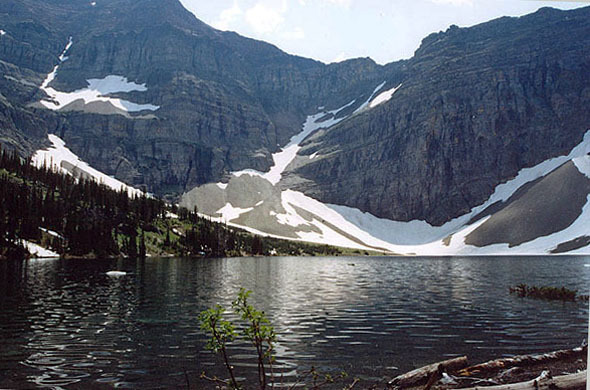 We were consistently proved wrong at every destination on the trail – Wiwaxy gap, Lake Oesa and Opabin plateau. The view from the gap being the best we have seen so far in our lives. The weather during our final leg of the trip oscillated between abysmally poor and depressingly gloomy to brilliantly sunny and picture perfect… that too on alternate days. On the first good day we packed what is touted as the no. 1 hike in the nation – a 17 km return trail to Crypt Lake. Although the hike involved scrambling up a ladder, crawling through a tunnel and jumping over ledges, the views it offered were definitely pedestrian by the Canadian standards. Unless Banff and co. decided to close for the season the poll was conducted, I fail to understand how this trail could have been voted as the best. By the by, the walk also involves a boat ride to and from the trailhead. The result of which is that you are forced to start and finish the walk with about 120 other bipeds making most of the walk resemble a crowded mall than a pristine wilderness. We spent the following grey day driving to Waterton’s sister park, Glacier National Park across the border in Montana. After distinctly low key three days in Waterton, we were wondering if the entire leg was worth the time and money. All our doubts were put to rest on the final walk, Carthew Alderson trail – a 20 km long (one way, the other way being covered in a shuttle) walk filled with jaw dropping sceneries. The walk beat every other walk on the trip save the Alpine Circuit. If you have only one day in Waterton, you are better off doing this one than the extremely over-rated and overcrowded Crypt Lake trail. After spending 15 days walking over 175 kms amongst pristine natural beauty and covering six national parks, we dragged ourselves back to mundanity – a journey we found more painful than the hardest climb we encountered on the trip!